This entry was posted in Aging and tagged aging, botox, collagen, deep acid peels, dermal filler, elastin matrix, facial muscles, frown lines, glabellar lines, laser resurfacing, sagging, sun damaged skin, wrinkles on June 25, 2012 by alwin. 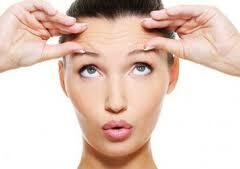 Health and beauty are considered the key point s that have to be well-maintained in your life. If you have optimal health, it radiates and interprets into external beauty. If you are beautiful and glowing on the outside, that means that inside, you are healthy. Making sure that you are always healthy and beautiful really takes the toll on most people. You have to admit, paying attention to your own body means that you should really take the time and effort in making the right choices. It may even mean that you would have to make big changes in the way you live if you have to. But what happens when time catches up with you and you still want to take control over the inevitable? 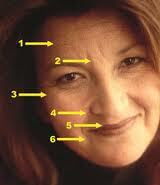 What if you decide to fight against the natural process of aging? This entry was posted in Aging and tagged aging, antioxidants, fight against aging, moisturize, sunscreen on June 30, 2011 by Mian Ong. What Makes Shen Min An Ideal Supplement for Your Hair and Skin? Physical appearance is very important. The way you project and carry yourself in a crowd immediately tells people of your health status. The way you look also shows people how well you take care of yourself. These are the reasons why you should always make it a point to practice proper hygiene and also, to pamper yourself every once-in-a while. Stress tends to manifest in the condition of your hair and skin. This entry was posted in Aging, Skin Problems and tagged aging, collagen, hair loss, shen min on June 30, 2011 by Mian Ong.